We use the hot water extraction method otherwise known as “steam cleaning.” Our gentle deep cleaning method flushes and rinses while extracting 95% of the water using the most advanced truck mount equipment in our industry. We pre-treat the carpet with our plant-based emulsifier then extract the loosened soils with 180 degree water leaving no residue behind. The products we use are derived from organic ingredients such as citrus peel, lime extract, grapefruit seed extract, and natural enzymes and are certified by a third party to meet today’s green standards such as Green Seal or Designed for the Environment EPA logos. Most customers are pleasantly surprised at the huge difference in the look and feel of their carpets. Use of optical brighteners found in some over the counter spot removers will also void the warranty and even remove the carpets stain resistance! • Spot treatment for spots and spills -not charged as extras –this is essential! • Odor treatment and carpet protection are not included in the basic cleaning, but are available to our customers at affordable prices. Check your carpet warranty: many carpet manufacturers not only require professional carpet cleaning every 12 months to keep the warranty active, they may also require the protectant to be reapplied. Carpets are treated with a protectant when they are manufactured to extend the life and look of the product. Over time, the protectants wear off through dry soil abrasion and the fibers can become dull and frayed, leaving them unprotected and exposed to stains. 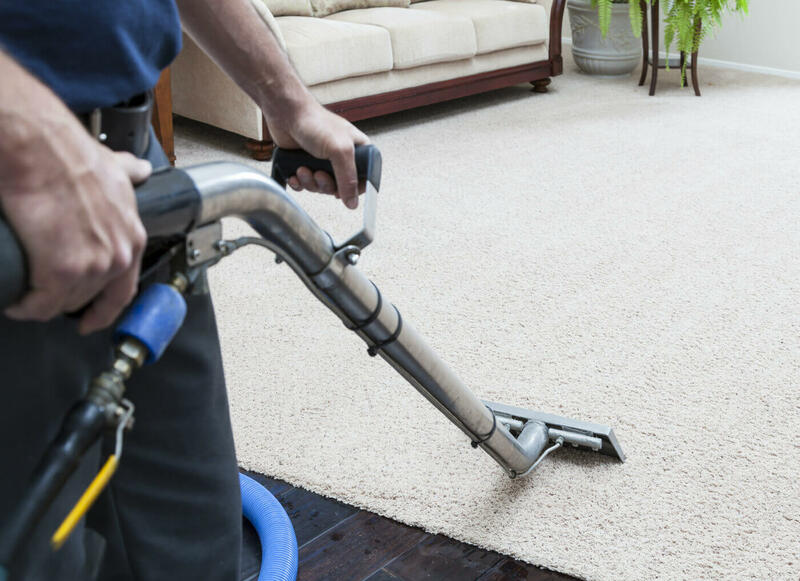 Carpet protectants work by sealing scratches on the fibers to provide a barrier against future wear and stains, so protectants should be reapplied after cleaning. No!! The product we use is the only Green Certified protectant available and caries the EPA Designed for the Environment logo! This unique product has a dye blocker and soil resistant properties without odor and the harmful perfluorooctanoic acid or other fluorinated chemicals found in virtually all other protectants. More info here about Green Guard Protectant at the following URLS: https://youtu.be/2bfVPqTvyx8 and https://youtu.be/7hzDPb48NAo We have been using our Green Guard protectant for years and have been very satisfied with the results. Your carpets will be rinsed free of dirt and many other contaminants that could contribute to odor. However, when it comes urine, vomit, or other specific odors, cleaning alone will not completely remove odor. Since we use moisture during cleaning and are removing dry soil build up from the carpet fibers, sometimes a pre-existing odor from pets may become exposed. Carpets/upholstery that have been exposed to odor may not be completely removed depending on the ability to get to the odor source. Pet remediation is often needed when odor or contamination has migrated to the backing or padding of carpet. This process requires additional products and specialized subsurface extraction to remove contaminants, in addition to the standard cleaning. View Pet Remediation for more. We charge a per “area” price. Any room that is L shaped, combined, divided or exceeds 250 square feet will count as two areas. Prior to the cleaning we will walk through the rooms and discuss the carpet to be cleaned and the costs involved. There will be no hidden charges! Payment is due upon completion of work. We accept all forms of payment. You can use the carpets right away. Clean socks or house shoes are recommended. Drying times depend on air temperature, carpet thickness, and humidity. Generally, your carpets will be damp to touch and dry within a few hours, usually 7- 12 on average. We offer to move all of the furniture that can be safely moved. For some furniture, it may be necessary for you to remove the delicate objects, such as picture frames, glassware, and other breakables prior to moving. It is our policy not to move electronics due to the sometimes-sensitive nature of these items and their connections. The furniture will be moved out enough to clean behind it and placed back on protective coasters, in its original location. There is no charge for this service and we feel it is necessary to give you the most thorough cleaning. Vacuuming is always recommended prior to cleaning. It will not only prep the area prior to our deep cleaning method, but may even speed up drying. Everything that gets extracted out of the carpet during the cleaning has to pass through a filter before going to a recovery tank. More debris in the filter equals less airflow. The filter is cleaned prior to every job. There will be a $15 per room vacuuming fee per area that is unprepared for our arrival. Generally, it will take 10-15 minutes to clean each area. Times can vary depending on how soiled the carpet is, how many spots we have to work on, and how much furniture needs to be moved. YES! We stand behind our products and services! Customer satisfaction is our #1 priority. Our customers have up to 14 days from the date the work was completed to report any problems or concerns they may have with the service. We will do our very best to satisfy every customer. Our commitment to great service has earned us the Angie’s List “Super Service Award” for four consecutive years. Only the top 5% are eligible to receive this award per category. Steam Green Inc was also the winner of the Journal Star 2019 Best of the Best in Carpet Cleaning award. Check our Google Reviews and see why our customers love our company! Thank you to all who have taken the time to rate our service and let others know about your experience!